Plus a couple hundred maps and charts. All you have to do is select the image and right-click to save. 2. Select “Maps and Charts” on the top bar. 3. Scroll down and select desired image. 5. Right-click image; “save image as” (or equivalent in a browser other than Firefox). If you don’t own the Bible, you can see and download some free drawings, a map, and a city plan on their blog, plus a few at Amazon. So for $32, you not only get a really fat book, you also get electronic access to 40 reconstruction diagrams plus 200 full-color maps. I know the market pretty well in this area and I’d suggest that you’re getting your money’s worth just from the digital images. It’s like the printed Bible is thrown in for free. I use the printed Bible and the online Bible every week for reasons entirely other than what is listed above. You can see more of what keeps me coming back (print and digital) even though I have two shelves of other Bibles. Archaeologist Yosef Garfinkel discusses his discovery of the Khirbet Qeiyafa ostraca in a 2.5 minute video posted on youtube. There is a transcript in the right sidebar. 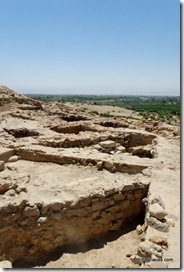 The website of the Tell es-Safi/Gath Archaeological Project has been thoroughly revised and updated. You can read about what has been discovered in previous seasons, as well as learn more about how to volunteer for the coming season. The website also includes a photo gallery and a virtual tour of the tell. Many of the images link to high-resolution versions. The Israel Antiquities Authority has reported the discovery of an ancient marble figurine. The bearded man may be a Roman boxer and is believed to date to approximately A.D. 200. According to Dr. Doron Ben-Ami and Yana Tchekhanovets, directors of the excavation at the site on behalf of the Israel Antiquities Authority, “The high level of finish on the figurine is extraordinary, while meticulously adhering to the tiniest of details. Its short curly beard, as well as the position of its head which is slightly inclined to the right, are indicative of an obviously Greek influence and show that it should be dated to the time of the emperor Hadrian or shortly thereafter (second-third centuries CE). This is one of the periods when the art of Roman sculpture reached its zenith. The pale yellow shade of the marble alludes to the eastern origin of the raw material from which the image was carved, probably from Asia Minor, although this matter still needs to be checked”. The rest of the press release is here, and three photos may be downloaded in a zip file. The story is covered by Haaretz and the Associated Press. Reports of previous discoveries in this same excavation may be read here and here and here and here. 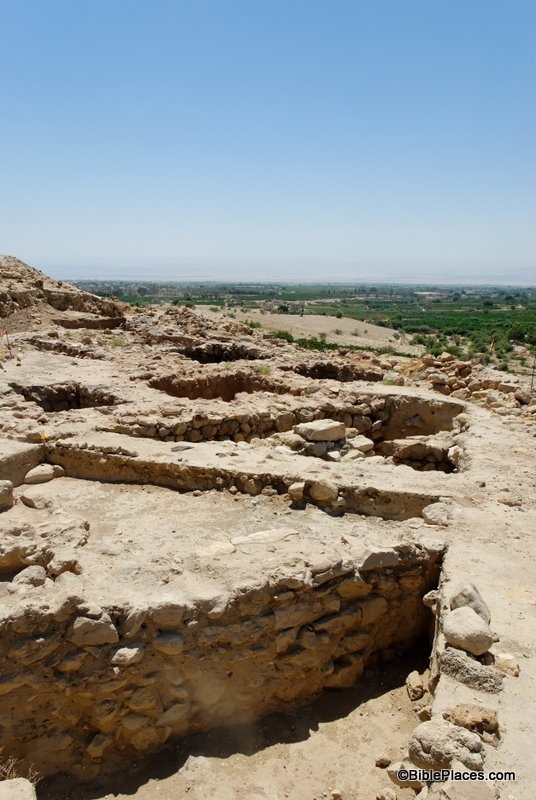 Aren Maeir reported last week on an archaeological meeting in Beersheba that included eight presentations on recent research on the Philistines in Israel. Reports like this are so helpful in giving the public a sense of the progress being made in the field. Otherwise individual reports will appear in scattered journals or possibly an (over-priced) collection from a European publisher and be unknown by those with a general interest. Meanwhile, what she has published in her MA thesis is of utmost importance! This study has been largely overlooked, but deserved close attention from anyone dealing with the final stages of the LB and the early Iron I periods. For example, the fact that the site is abandoned at the end of the LB and not resettled in the early Iron I, is a nice example of the major changes that occured in the settlement pattern, trade relations, economic structure, etc., between the two periods. It would appear to support the “normative” explanation on the Sea Peoples/Philistine phenomemon, i.e. that it is not a continuation of the LB, but rather, a new, intrusive event(s). Maeir concludes his post with a description of the rocket attack he experienced while in Beersheba. The conference will take place in the auditorium of the central building in the Industrial Park of Omer (near Beer-Sheva) on Thursday, February 12, 2009. 16:40 – 17:30 Prof. Yosef Garfinkel and Mr. Sa`ar Ganor, The Institute of Archaeology, The Hebrew University: "Sha`arayim – A Judaean City from the Time of King David in the Elah Valley"
17:30 – 18:05 Dr. Eilat Mazar, The Institute of Archaeology, The Hebrew University: "The Palace of David in the City of David"
18:05 – 18:40 Dr. Haggai Misgav, The Institute of Archaeology, The Hebrew University: "The Ostracon (the New Inscription) from Khirbet Qeiyafa"
Free parking is available alongside the entrance gate to the Industrial Park of Omer, opposite the Luzzato Building. HT: Agade (via Joe Lauer). After the Israelis captured the Old City in June 1967, significant attention was given to the development of the Western Wall area. During creation of the large prayer plaza that exists today, the ground level was lowered by about six feet (2 m). Recently when working with the photographs of David Bivin, I came across this photo. With the distinctive crack in the rock visible behind the young man’s legs, I set about finding a recent photo of the same rock. The photo below shows the crack behind the man’s right hand. In 1964, ground level was located at the position of his left hand. Note that he is standing on a chair. This is the best illustration I know of that shows the change in plaza level after 1967. You can see a photo taken by Amihai Mazar that shows a bulldozer clearing the area in the excellent book by Leen Ritmeyer, The Quest: Revealing the Temple Mount in Jerusalem, page 22. Some other “Then and Now” photos from the Views That Have Vanished collection are posted here. It’s a myth. Sorry to ruin such a good story for you. The notion that the high priest would tie a rope around his ankle before entering the Holy of Holies on Yom Kippur (the Day of Atonement) so that his body could be pulled out should he be struck down is not found in any ancient source, including the Hebrew Bible, the New Testament, the Dead Sea Scrolls, Josephus, the Apocrypha, the Mishnah, the Babylonian Talmud, or the Jerusalem Talmud. A knot of rope of gold hangs from his leg, from fear perhaps he would die in the holy of holies, and they would need to pull him out with this rope. The Jews say, that a cord or thong was bound to the feet of the high-priest when he went into the holy of holies, that if he died there, the rest might be able to draw him out; for it was not lawful for another priest to go in, no, not an high-priest, none besides him on the day of atonement. There are many websites and other sources that perpetuate this legend (including the NIV Study Bible on Exodus 28:35). Another webpage that discusses this myth is located at ChristianAnswers.net. UPDATE (8/27/09): Rabbi Dr. Ari Z. Zivotofsky has written a lengthy article refuting the claim in the Zohar. Until 1948, one of the largest and most important Ashkenazi synagogues in the Old City of Jerusalem was the Hurva Synagogue. Fighting in May 1948 left the building in ruins, but following the city’s capture by Israel in 1967, plans were discussed to reconstruct the synagogue. The interested parties could not agree on a solution, and so in 1977 a memorial arch was erected. In 2000, plans were approved to rebuild the synagogue following its original design, and in 2005, work commenced. For more about the Hurva Synagogue, see the Wikipedia article or these Google links. The Sept/Oct 2008 issue of Biblical Archaeology Review carried an intriguing article that suggested that workers used sound signals from above in determining direction while carving Hezekiah’s Tunnel. The apparent “consensus” theory that they followed a natural crack always seemed implausible to me, and thus I am interested in learning of other possibilities. How does Hezekiah’s Tunnel compare with the water tunnels of Megiddo and Hazor? How could sound signals pinpoint direction through more than 100 feet of bedrock? Did water flow uphill from the Gihon Spring to the Pool of Siloam? How were the workers supplied with oxygen? Isn’t there really a natural crack that the workers followed? Ayreh Shimron has some good insights into these and other matters.